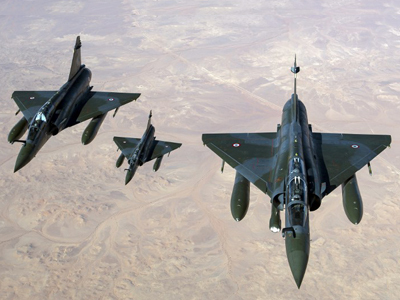 France has engaged airstrikes in Mali to clear the way for an intervention force concentrating on the capital. Despite promises that military campaign in Mali will be a short one, there are fears that Paris has got into a lengthy conflict. On the fourth day of the French military incursion the armed forces widened their bombing campaign to encompass central Mali, to target new threats. French Defense Minister, Jean-Yves Le Drian said that Islamist rebels had seized the town of Diabaly in central Mali on Monday, overcoming the Malian government forces stationed there. 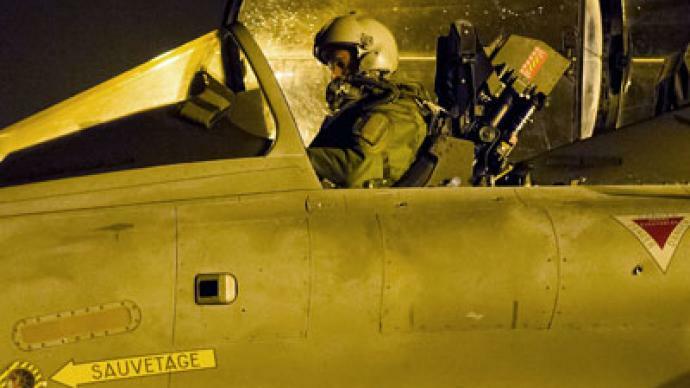 France’s Rafale fighters bombed out Islamists’ strongholds in the north near the region’s main city of Gao on Sunday, causing the militants to flee, reports AFP. The French Air Force also eliminated arms stockpiles and fuel reserves belonging to Al-Qaeda-linked Ansar Dine (Defenders of Faith), MUJWA and AQIM militant groups and attacked extremists’ bases on the border with Mauritania using 250kg bombs. Locals welcomed the actions of French Air Force which stopped the nine-month rule of the Islamists and now expect the Malian army’s return into the region to prevent militants from coming back. Reportedly, the Malian army has already made significant gains, recapturing the towns of Douentza and Konna. The French offensive will get support from some of the former Islamists’ allies, with Mali’s separatist Tuareg rebel movement, the MNLA “ready to help” the French ground troops. “We can do the job on the ground. 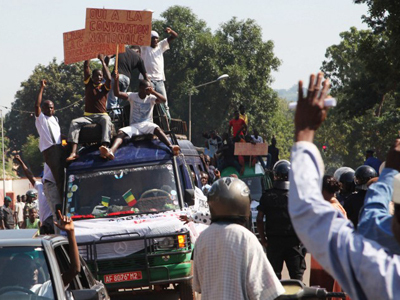 We've got men, arms and, above all, the desire to rid Azawad of terrorism,” Moussa Ag Assarid of the MNLA told AFP. However, the Tuaregs do not want to see the Malian army in the north of the country before an “accord between the two parties” is reached, he added. The MNLA rebels, who’ve claimed northern Mali as their “homeland,” had initially joined the Islamist groups, but later turned to Malian authorities after an extreme form of Islamic law was imposed on them. The Tuaregs, who helped instigate the rebellion in January 2012, allowing Islamists to come to power in the country’s north, have now turned away from the same militants, instead asking the Malian government for self-rule. 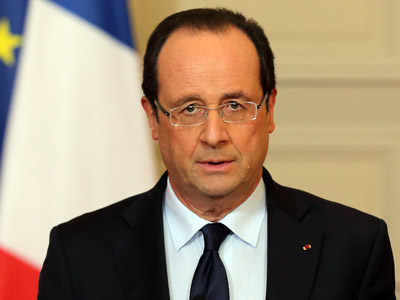 The office of French President Francois Hollande announced that cabinet is holding a meeting on Monday morning on the Mali crisis. The French mission in the UN has informed that the UN Security Council will also discuss the situation in Mali later on Monday. Separately, the EU stated that it intends to accelerate preparations to send in military trainers to strengthen the Malian army. At the same time, spokesperson Michael Mann told press that the EU had no intention of assigning the military trainers a combat role when they arrive in Mali towards the end of February. French Foreign Minister Laurent Fabius has assured that Islamists in Mali have already been “stopped” and “taking care” of terrorist groups in the country is “a question of weeks.” He also informed that the assault on Islamist compounds on Sunday has become possible as Algeria finally opened its aerospace to French Air Force operations despite previously opposing French interference into Mali’s affairs. Still, the French authorities have acknowledged that encountered Islamist extremists in Mali are well-trained and armed with advanced weapons, something that has not been expected. On Saturday the militants wounded a helicopter pilot who later died in hospital, becoming France’s only confirmed combat fatality to the moment. France has still not forgotten its “great colonial past” in Africa and Asia and the operation in Mali, a former French colony (1892-1960), is yet another proof to that fact, told RT political writer and journalist Barry Lando. He said France will be stuck in the operation for longer than it expects and Paris will after all have to negotiate with the rebels. “The French do not know what their objectives [in Mali] are, how long it is going to go on,” claims Lando. The journalist points out that northern Mali is comparable to the size of France itself, questioning “a few hundred” French troops’ capability to track down the Islamists on such a vast territory that the militants call home and know all too well. “It is a potentially huge involvement, a very long task. In the end what you are going to do is to negotiate with these people, this is the only way out and I think this is how it is going to end,” predicted Lando. 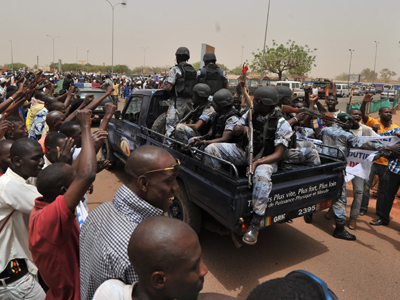 Following a military coup in Mali in March 2012, Islamists used the destabilized situation in the country to gain control of the northern part of Mali with the help of nomadic Tuareg tribes. The use of the international force in Mali to help the country’s government regain control of the northern territories was authorized by the UN Security Council in December. Resolution 2085 authorizes the deployment of 3,300 African-led international troops. The Economic Community of West African States (ECOWAS) is expected to hold an extraordinary summit in Cote d'Ivoire’s capital, Abidjan, on Wednesday. African nations Burkina Faso, Niger, Senegal and Togo promised to contribute 500 troops each, whereas Benin pledged to send 300 service personnel. The African troops that will start to arrive next Sunday will be going under command of the Nigerian General Shehu Abdulkadir. France has already deployed some 550 troops to Mali under ‘Operation Serval’. The contingent’s commander, Colonel Paul Geze, has announced that French task force’s primary aim is to protect the 6,000 expat community in the capital, Bamako. Another task group will be deployed in the town of Mopti, about 500km to the north of the capital. Britain is also giving France logistical support, delivering military and medical supplies to Mali. So far there have been reports of over 100 killed militants, including one of the leaders of Ansar Dine. 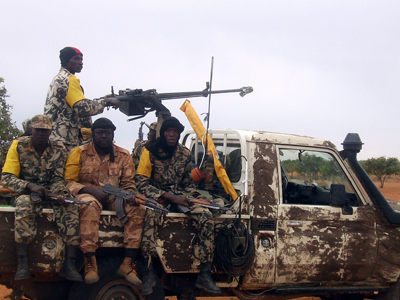 Mali’s President Dioncounda Traore has confirmed that 11 Malian soldiers had died in the fighting. Human rights group report of at least 11 civilians, including three children, killed since the beginning of the counter-terrorist operation in Mali. With French troops prepared for what many presumed to be a short conflict, critics say France has become embroiled in a much longer war. The French-Malian offensive will last for months at best, and it will certainly not help the job crisis back in France, UK-based journalist and broadcaster Neil Clark told RT. “I can’t see how getting involved in an invasion of Mali or fighting rebels in Mali is going to help the situation [in France]. And I think if Hollande does believe that his popularity rates, which are incredibly low, are going to be boosted by this, I think he’s made a very big mistake,” Clark said, adding that toppling Colonel Kaddafi did not help Sarkozy to get reelected either. Not only is Hollande “extremely unpopular” in France, he’s also making the matters worse by taking up apparently contradictory foreign policies, the journalist argued. “Francois Hollande has been one of the most provocative forces in the Syrian conflict, he’s recognized the FSA, heeded the opposition of Syrian National Council, he’s taken a very aggressive line in trying to topple the Syrian government, and he doesn’t seem to mind that he’s backing Islamic militants in Syria. 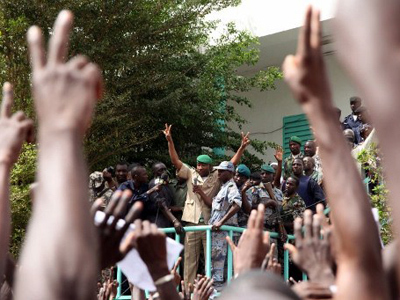 And yet he’s making out that this is the biggest disaster if Islamic militants come to power in Mali. So I think French people and people around the world will look at this and say: the hypocrisy is absolutely glaring,” Clark said. Clark warned there’s no way Hollande is going to gain popularity from this conflict, as there’s also great danger of a heightened terrorist threat following the offensive in Mali.